"The central church committee in Sweden"
The entire line looks like a 'works cited' or bibliography entry. crossreferenced before, but I'm not sure what date. "Aliter" means "otherwise," and can be applied to mean "requiring a different rule." The book at the bottom is...well...a book, but I can't find a translation yet. It appears to be on Nordic history (?). them, like a disclaimer. I'm trying to find a definition of it. my class to translate it yet. 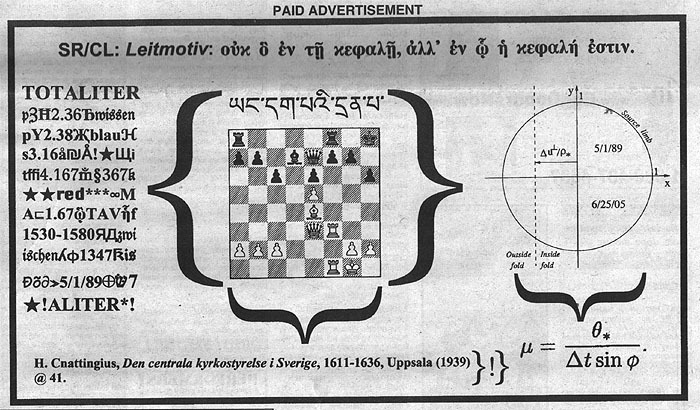 The brackets suggest that the circle is the fourth component, since the other three are around the chessboard. The Central Church Directors, 1611-1636, I guess published in 1939 in Uppsala? german for "blue" and the people behind this seem to rely heavily on quantum physics so this might be a lead. seen any of his books listed at various used  bookshops around Sweden. Hans Cnattingius was a Professor of theology or possibly religios history at The U of Uppsala, Sweden. Wrote a multitude of publications concerning the history of protestantianism in Scandinavia etc. to many of the places that have come up here. establishment of a Protestant Christian Theocracy. Might be worth thinking about. something like: 'keep in mind utmost purity' or 'keep purity uppermost in awareness'. tells one of the sub-groups to make their next move. gothic text is German, of course, where "(zu) wissen" means "(to) know" and "zwischen" means "between". any physicist think of a situation where H, Y, s, ... has a standard meaning? tell, it looks the same reflected around the X axis). year Cola de Rienzo declared himself the Roman dictator (and was summarily denounced by pope Clement VI). Cnattingus' book, as soon as I get around to it. looked familiar. It means "poison". translation error? 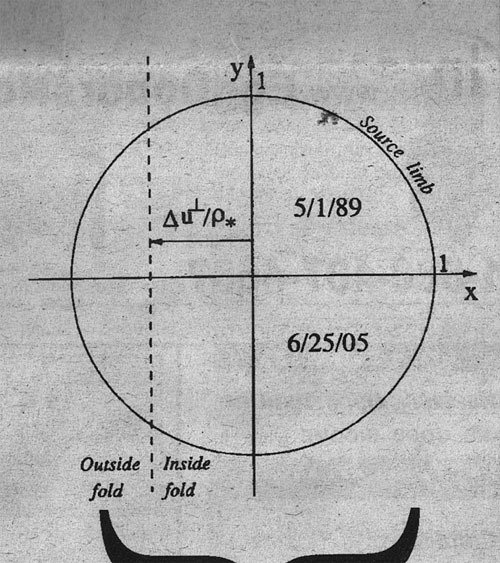 Cyostatics are called "[--garbled--]"). on this. Drop that last sentence if you don't, please. In this chess position, white Rf6 is a winning move that leads to checkmate very quickly no matter what black does. leads to White castling almost immediately. It's been used in numerous famous games, but I can't quite pin down which one this was. It's possible that this may even be the game in which Ruy Lopez lost to Leonardo di Bona, a Roman lawyer. Earth (elemental or the planet), and means a radar station on German maps. In hobo signs it means "generous people live here." line 8 are 'yad' this is the russian word for poison. also, after the lambda in line 9 is an f, and the third character in line 10 can be a d.
Freitag worked at Fachhochschule Mainz University of Applied Sciences. initial move on the chessboard. Templars, and new ciphers I've created that could also be used by Templars or other orders. think these people are very literal in many ways and that is one reason they are so hard to understand. What does the Greek mean? we still lack translations on many of the non-English sentences. dork0's post on 08.27.2006 asks for a translation of the Greek text. Here is a literal translation of the Greek: "Not he/it in the head, but while the head he/it is." This is my translation of the Greek text: "Not what's in the head, but what is the head." The Greek phrase is not in the Scriptures directly, but relates heavily to the Scriptures. Not in the head, but in the heart is found the living truth itself, the anointing that teaches us all things. In the heart is found the living fountain of light. Any one that lives in a heart entertained with God, will often with a glance of the eye discern more truth than another with the greatest exertion." In the heart is the temple where worship in spirit and truth takes place. Distrust, deny your understanding in spiritual things. The natural understanding is in the head: the spiritual understanding is in the heart, the Temple of God. Only when Jesus comes in, does self go out. their are no knights in this chess set, i think i remember reading in another artical about a knight ... could be connected. I think the chess peices are an important clue. Refrences to bombs and then the "not what's in the head but what is the head" quote makes me think of war-heads. The Colossians quote links well to my garden of eden theory. 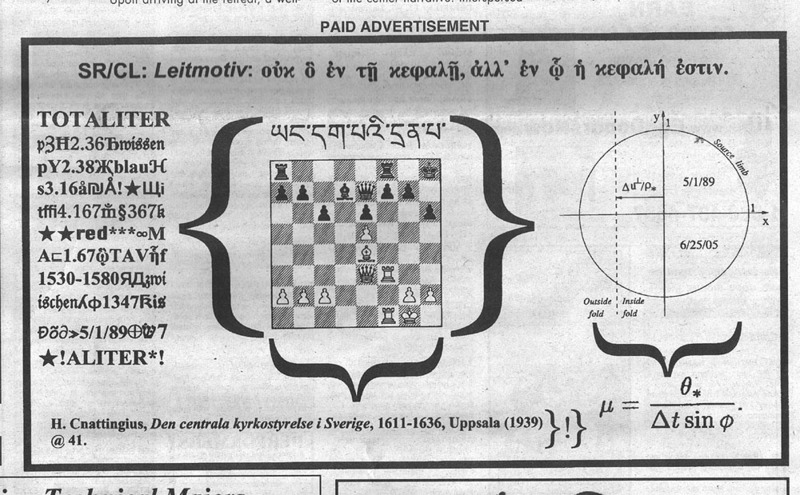 Speaking of heads (greece translation, Where is the smiley head in this add? Re: Thomasson and the greek translation. Still looking for the actual reference, I know I know it from somewhere but it definitely isnt scripture. Translation: Not the one (who/what) is in the head / on top, but (with)in what/whom the head is. In the second half of the sentence it says EN W (within whom), two words, not ENW one word (while). ability for heading/leading/being on top) is. byzantine, but thats more a gut feeling based on an obscure memory, so dont quote me. I'll keep looking. I find your comments insightful, just nitpicking. Comments: "Totaliter Aliter" comes from latin, and means totally different. The Greek means, "Not what is in the head, but what the head is in."